Air quality has become a bigger concern for many in recent years. 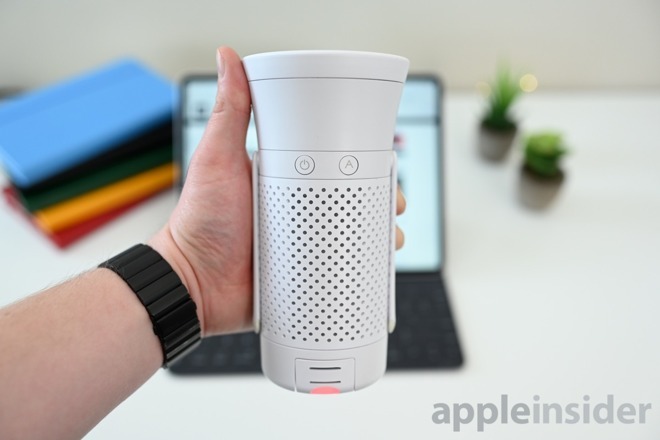 We’ve seen a handful of different monitoring devices as well as larger air purifiers, but Wynd is a new class of device that combines both a tracker and purifier into a compact package. Wynd is actually two separate products. There is the tracker which slots right into the bottom of the device. When removed, it can be easily clipped on to your clothing to wear around and monitor quality wherever you are. 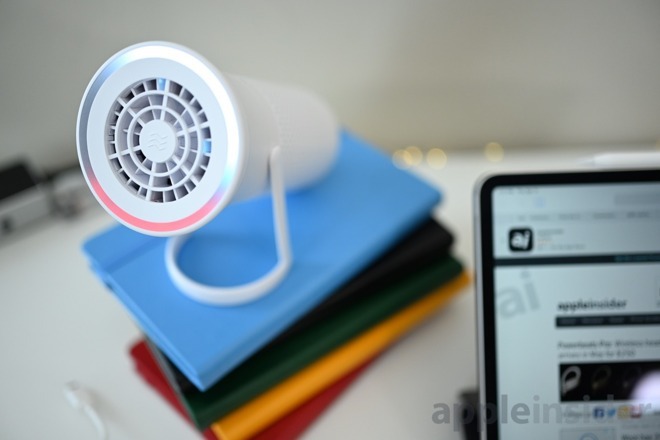 The second part is the purifier which is essentially a mini fan with a powerful filter on the inside. Wynd’s filter, with regular use, will last a user roughly about three months —all tracked within the Wynd app itself. The setup process of Wynd was possibly one of the best on-boarding experiences I’ve had with a third-party accessory. It guides you through each step and offers you options if something isn’t going as planned. It was painless and only took a few moments to accomplish. Charging is done through the included USB-C cable. Plugging it into the purifier itself will also charge the attached sensor. There is no way to just charge the sensor on its own for what it’s worth. 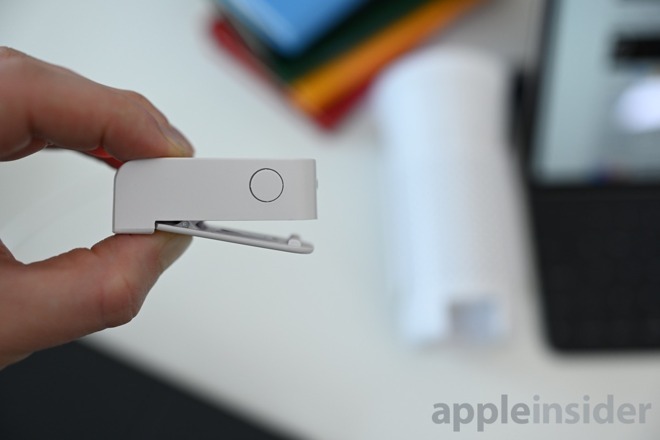 The included USB-C cable is Type-C to Type-A which means you can’t connect it directly to your MacBook without an adapter or providing your own cable. We wish they had gone all-in with Type-C rather than stringing us along, but it’s not hard to get a USB-C to USB-C cable. Full integration with Apple’s home automation suite makes even more sense now with HomeKit on the Mac. I use Wynd on my desk, it would be so easy to turn it on, off, etc just from the Home app. 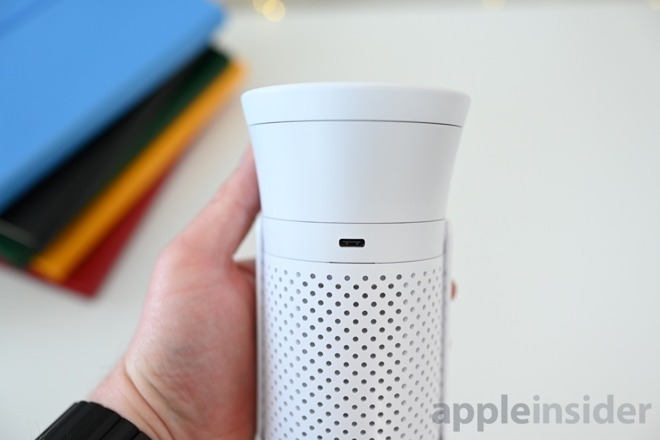 Air purifiers, fans, and air quality monitors are already HomeKit categories so tying that it would be a no-brainer. 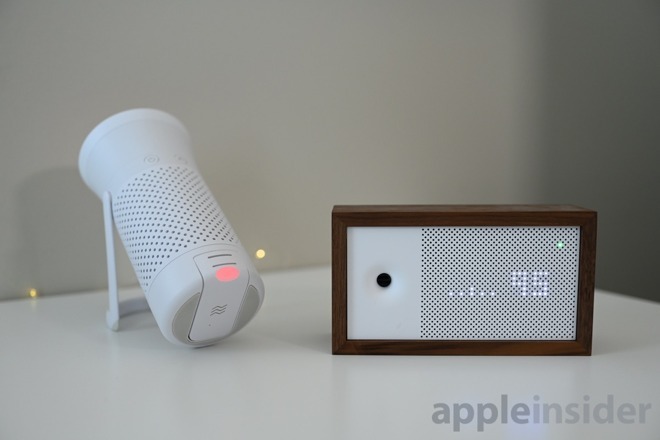 We’ve seen other portable HomeKit gear over such as the Eve Flare that is designed to go outside with you so it is something that has already been done before. The center tab is the “home” tab and gives you once more the air quality in your area, as well as what your tracker is currently detecting. You can view both the AQI (Air Quality Index) and the PM2.5 (particular matter less than 2.5 microns in diameter) values. For AQI, Wynd says you should be between 0 and 50 where PM2.5 should be under 12. We found the app to be cleanly laid out and easy to navigate. That said, there also isn’t a huge wealth of information here. It is basically the air quality and a few device settings. We aren’t exactly expecting more information, but it seems like many screens for a singular purpose. We’ve a Mi Air Purifier 2 as well as a Dyson Air Purifier for different rooms. But that still leaves large areas of the home without coverage. 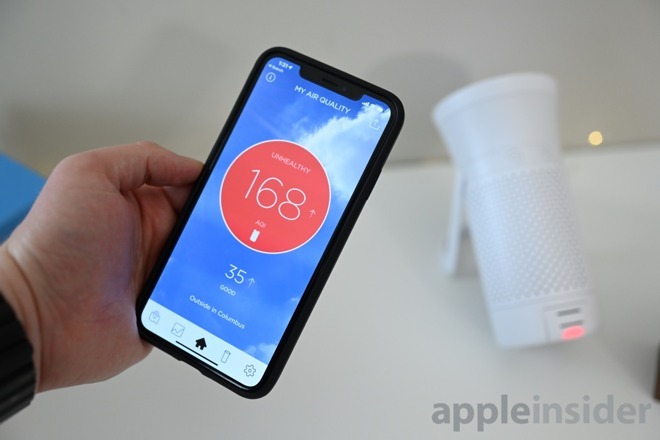 We can see just that by way of a few air quality monitoring devices we’ve picked up over the years like the HomeKit-equipped Eve Room 2 or the well-designed Awair. Aside from our pet-filled home, traveling with Wynd has been comforting. We’ve set up shop in a range of hotels that go from classy to questionable, and Wynd gives us a better idea of the air quality there. 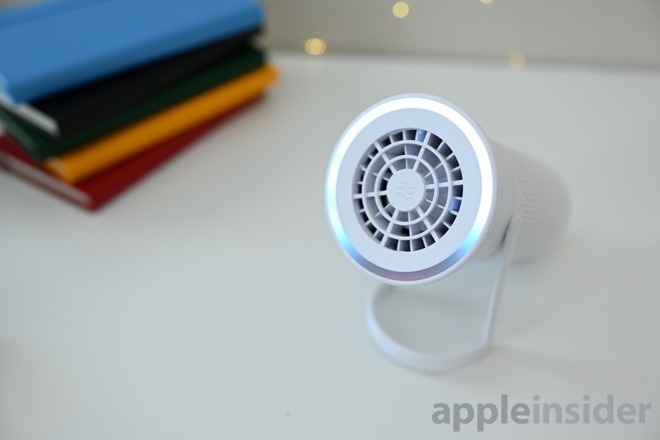 At its best, it identifies poor air quality and purifies it while in the worst case scenario it gives you peace of mind that the room is clean. As we were testing Wynd, we got caught up in the issue that really surrounds air quality monitors and air purifiers. 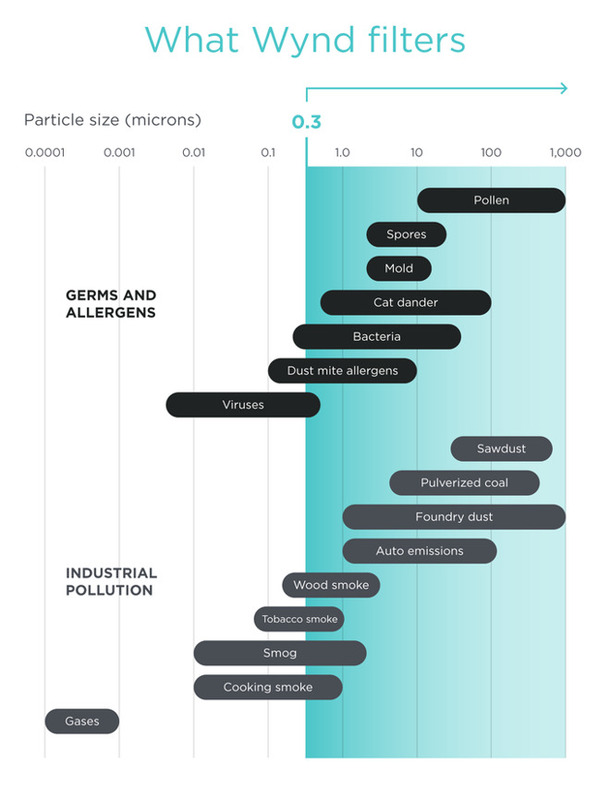 Air quality isn’t something you can necessarily feel or see. You have to trust what the sensor is telling you. You also can’t necessarily compare sensors. We compared the Eve Room 2, the Awair, and Wynd, and had different results. The Eve Room 2 has a VOC —or volatile organic compounds —sensor and measures in ppb, Wynd measures “airborne particulate matter — including dust, allergens, and industrial pollution,” and outputs the air quality index as well as the particulate matter scored in pm2.5, and Awair tracks several different metrics which it gives you individually as well as an overall score. Wynd should be one of the more reliable, in theory, as they have created their own sensor instead of buying one off the shelf and putting it in a housing. It is thoroughly lab tested, but at this point in time doesn’t help you understand what is going on, nor can you confirm which sensor is reading best for you. Assuming you can wholeheartedly trust and believe in what Wynd is relaying to you, it is the most full-featured device out there. 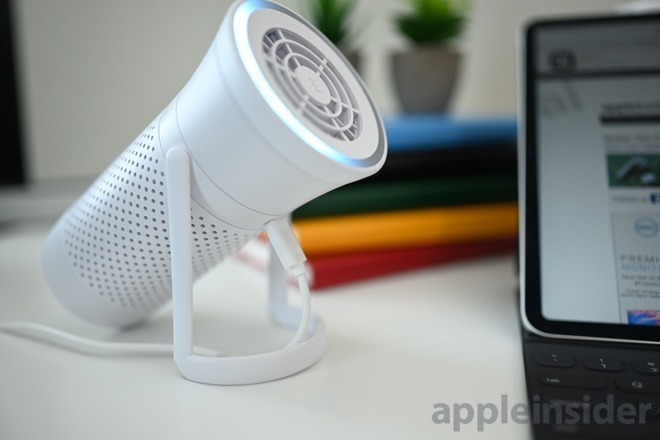 It isn’t just a sensor, but a purifier as well while being compact and doing a great job at cleaning the air around you.